Today we have already told you about Ubisoft's presentation at Igromir 2013, but also would like to show the other interesting recording from the expo. 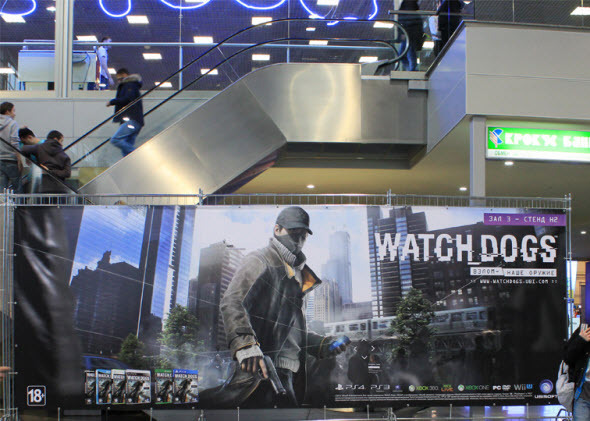 It is the Watch Dogs gameplay video that was demonstrated exclusively in Russia last week. Ubisoft let the gamers play one mission of Watch Dogs and presented the demo version of this mission to public. The demo is revealing a few interesting details about the upcoming action-adventure. Thus, we are able to meet the new game's character, look and try to use several different types of weapons (including explosives), pilot a boat and even swim. To find out more and to see the demo presentation at first hand, take a look at Watch Dogs gameplay video from Newbies Bloggers Youtube channel. Also it became known that in Watch Dogs you will be able to finish 95% of all missions without any shot. The developers have created many opportunities for stealth gamers, so you can hide, run away and outwit your opponents instead of fire them. And how are you going to walk-through this game? Do you like stealth action-adventures or the shooters are always better? Write your opinion in the comments below.